This time, I will focus on the importance of complementing the transactional or “Request/Response” model, used by most traditional IT systems, with a more near real-time or “Publish/Subscribe” model, better suited for the Internet of Things. There are many reasons for doing this, and one important reason is the rapidly increasing volume of both things (devices) and data. Another important reason is the security problems that occur due to the fact that a pure Request/Response model would require each thing that needs to be controlled, to act as a (web) server. Almost anything that is a “server” can be hacked, so making each thing a “client” in a “Publish/Subscribe” model will decrease that security risk significantly. The first video is about the de facto standard Publish/Subscribe protocol MQTT. 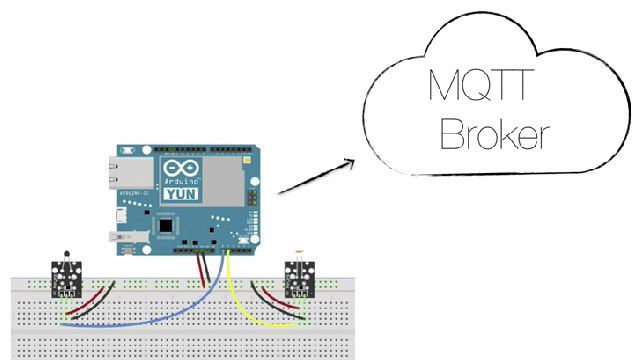 In the second video, I show how to share (publish) sensor data using MQTT. 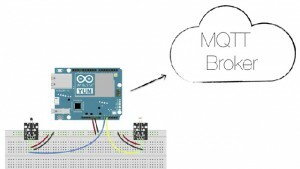 The third video is about how to control things (sensors) using MQTT. 2) what are sogeti best client stories in iot? Hi Jean-Marc, thanks for the info, and I will respond to you questions in email.